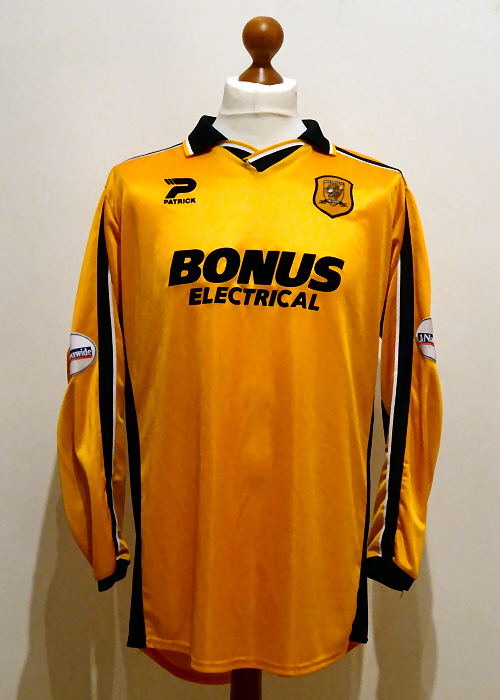 This matchworn Phil Jevons shirt came to us via the spouse of a someone who worked for a former club sponsor and had this shirt donated to them. 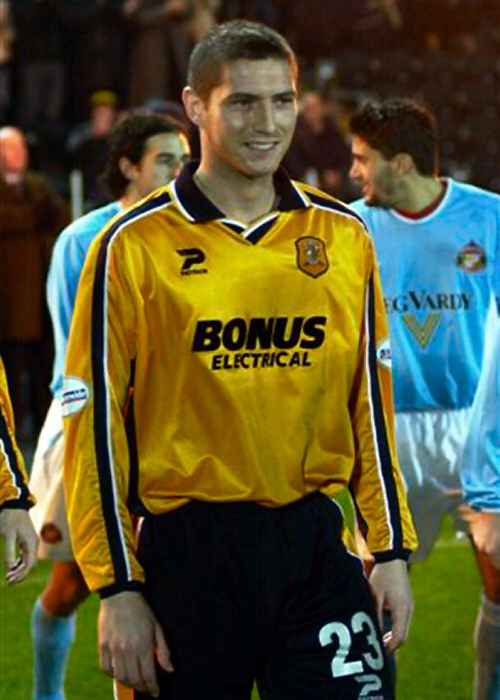 Jevons joined City on loan from Grimsby in September 2002, and played in 26 games (15 of those starts) in the season City made the mid-year change from Boothferry Park to the gleaning new KC Stadium. 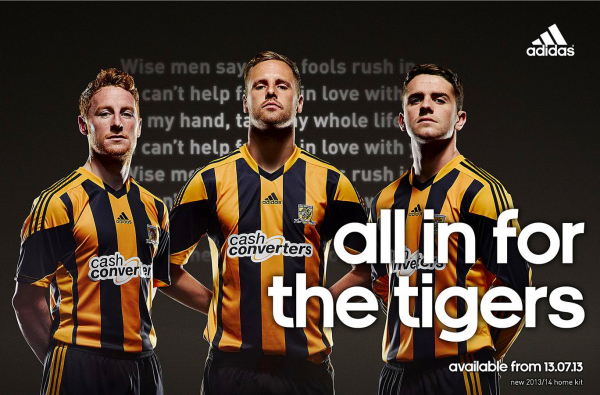 Since all shirt printing is done at the Tiger Leisure club shop, City often ran out of full size player name letters after the first batch of shirts was printed up, and the smaller letters meant for fan bought replicas were used for players arriving part way through the campaign. That was the case with this shirt, which has the smaller letters. 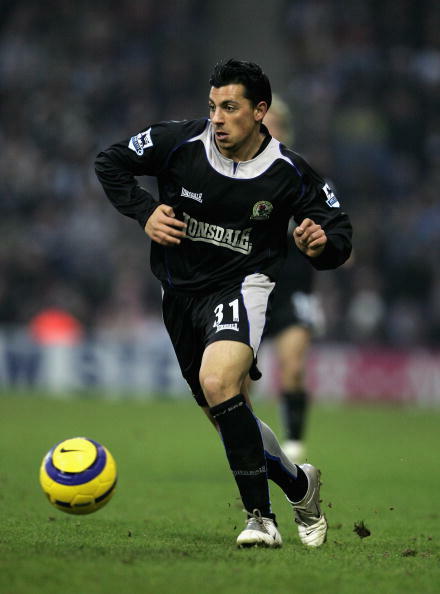 The cream coloured and oval shaped Nationwide Football League sleeve patches were updated in 2002/03. Whereas the previous year’s appliqués were made of thin polyurethane that was prone to cracking and peeling, these were much more hardwearing plastic patches that featured raised print on a herringbone pattern ridged background. 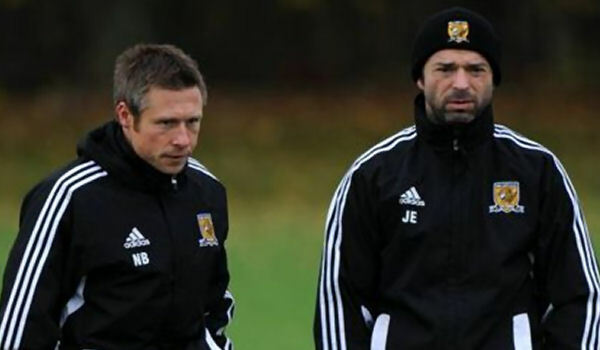 Jevons favoured long sleeves in most games (as seen above in the Shrewsbury home game) including the inaugural game at the KC Stadium, contesting the ‘Raich Carter Trophy’ with Sunderland, which City won 1-0. We believe this shirt was used in that game.